According to various sources, Facebook will be announcing Public Search Listings today. What this means for users is that Facebook profiles will be searchable through the popular social network site with the profiles turning up in Google, Yahoo and MSN/Live search results pages. Starting today, we are making limited public search listings available to people who are not logged in to Facebook. 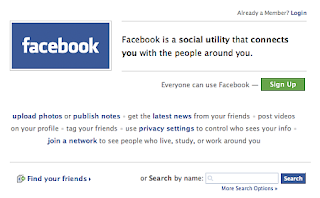 We're expanding search so that people can see which of their friends are on Facebook more easily. The public search listing contains less information than someone could find right after signing up anyway, so we're not exposing any new information, and you have complete control over your public search listing. In the past there have been some Facebook profiles that have been indexed by Google. While this may cause concern for individuals. there may be an opportunity for organizations to leverage their Facebook Group profile as a way of generating another organic listing for their organization. Manoj Jasra recently posted about Tips to Grow a Successful Facebook Group. Actually in July, Manoj actually predicted that the Facebook profiles would become indexed in the organic search results in his piece Why Google Should Acquire Facebook. Personally I was not originally a fan of Facebook, my perception has changed slightly as I continue to see innovation with their applications and ability to reach out to the masses. If anything else, it will be interesting to see how users react to the news that profiles will get indexed by the engines.